^ a b c d e f g h i j k l m n One or more of the preceding sentences incorporates text from a publication now in the public domain: Alston, Cyprian (1907). "The Benedictine Order" . In Herbermann, Charles. Catholic Encyclopedia. 2. New York: Robert Appleton. ^ Rees, Daniel (2000). 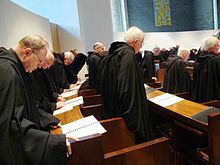 "Anglican Monasticism". In Johnston, William. 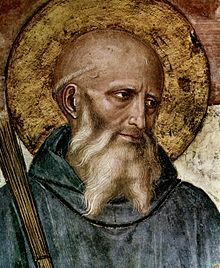 Encyclopedia of Monasticism. New York: Fitzroy Dearborn Publisher. p. 29. ISBN 1-57958-090-4. This page was last edited on 3 March 2019, at 02:28 (UTC).